Meditation on Every Monday at 7pm. (Full Moon) Each month on Poya or full-moon day the laity can spend a day at the temple and observe sil or the eight-precepts. The intent is to retreat from day-to-day life to train the mind for spiritual development and mindfulness. The day is spent in a pious manner learning the dhamma, meditating, reciting gatha, offering and partaking in dana, and dhamma discussions. The Dhamma School (Sunday school) is an organized effort to provide an opportunity for our children in their search for a ‘right-way’ of living. It will guide the children to learn and adopt Buddhist values to their way of life in order to find happiness. To this end, Dhamma School provides a solid foundation to develop wholesome thoughts that will take them on the ‘right-way’ . 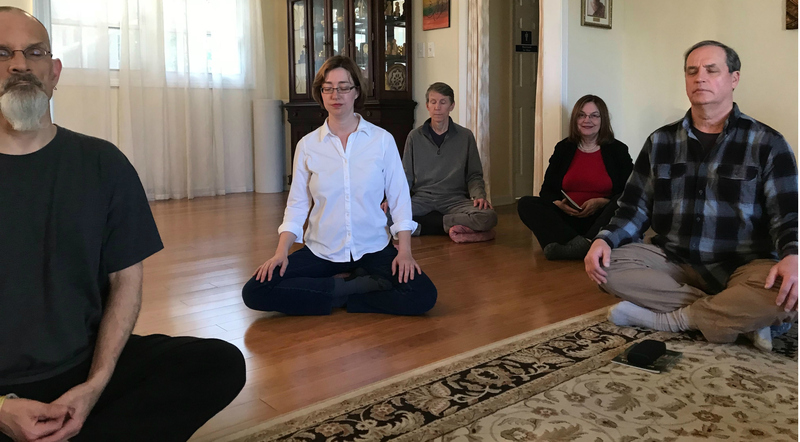 Adults who wish to learn Buddhism are also welcome to participate in these classes.